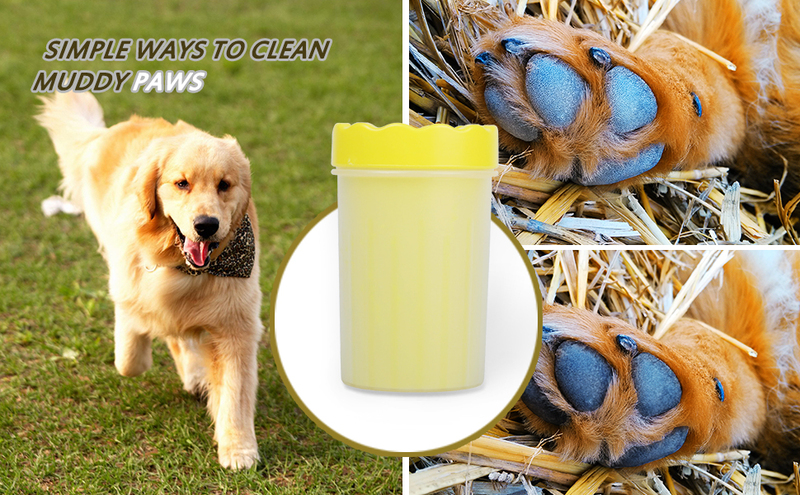 Rabbitgoo Paw Cleaner is an easier option for cleaning our dogs paws. Cleaning paws may be more important than you think. 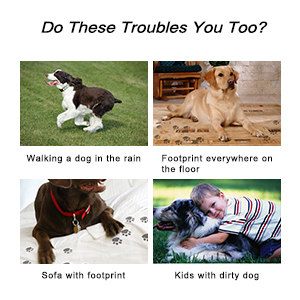 Dogs are often easily attracted to mud, puddles, and other filthy areas. While you may not mind if he gets a little dirty, you certainly don’t want him tracking dirt all over your home. This means you need to clean off your dog’s paws before letting him inside. 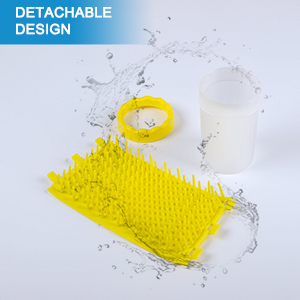 Paw washers are designed to be small and portable. 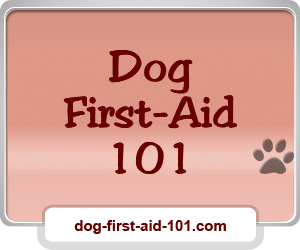 These can go with you on your walk, which gives you a chance to wash your pup’s paws as needed. 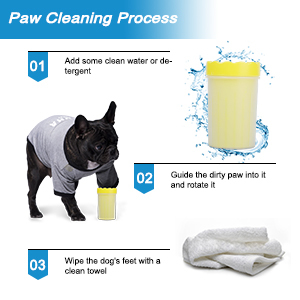 Most of us neglect paws cleaning, actually paw cleaning should be completed after every walk. Studies have shown that 50 percent of foot licking and chewing can be alleviated by frequently washing dogs’ paws. If your dog is okay with you holding their paws, then this paw cleaner is a must-have as your first line of defense against dirt and mud! However it may take a little time for your dog to get used to the cup, but with patience and rewards, most dogs adapt just fine.